DigiDNA has debuted a new “Quick Transfer” feature for their popular iMazing app for macOS. The new feature allows users to easily and quickly transfer files from their Mac or PC to their iOS device. Users simply drag and drop the file to the window, and compatible apps are intelligently suggested for opening the file on the iOS device. The new feature is 100% free. All apps which support iTunes File Sharing, such as VLC, Fileapp, Acrobat Reader, and many other apps for creatives and professionals. 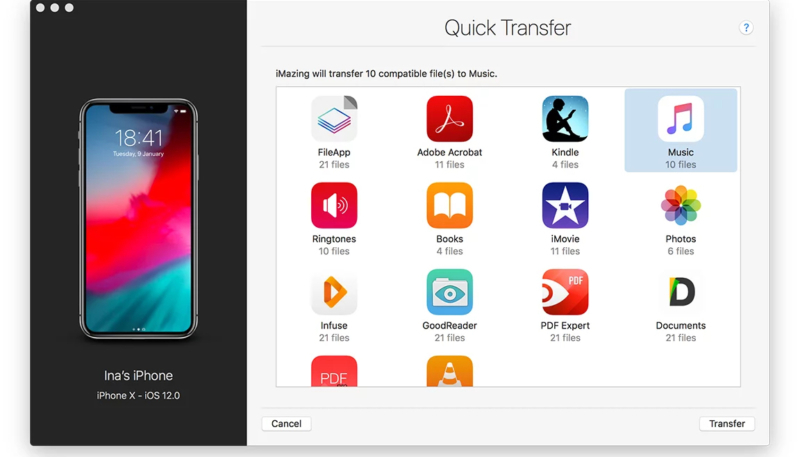 Quick Transfer is the latest addition to a growing list of features which are available without any kind of restriction in the free version of iMazing, including app management, Time Machine style iOS backups, and access to advanced battery and device information. iMazing is free to download and is available for macOS and Windows PCs through the iMazing website. Quick Transfer is free, but other features may require the purchase of a license.